In a Nutshell: Forget the days of clicking “I Forgot My Password” — Dashlane can remember them all for you, automatically logging you in to thousands of websites. In addition to password storage, the app also offers an easy way to make all your payment information accessible to you wherever you go. Streamlining the checkout process, the Digital Wallet has facilitated nearly $6 billion in transactions for shoppers who love convenience and technology. If I ever need to know my mom’s password for, let’s say, Netflix, I know exactly where to go. She keeps a list of her passwords cunningly hidden in the drawer next to the family computer. “It’s in code,” she says defensively whenever we tease her about it. And yet my mom has always chosen to memorize her credit card numbers, so that she can repeat them by heart. It wasn’t until I had my own wallet full of cards that I realized how tremendous that feat was. My debit card has a four and an eight in it, and that’s about all I know without peeking. Thankfully, technology has now rendered cheatsheets and memorization obsolete. You don’t have to remember numerous phone numbers, credit card numbers, or even passwords anymore — there’s an app for that. 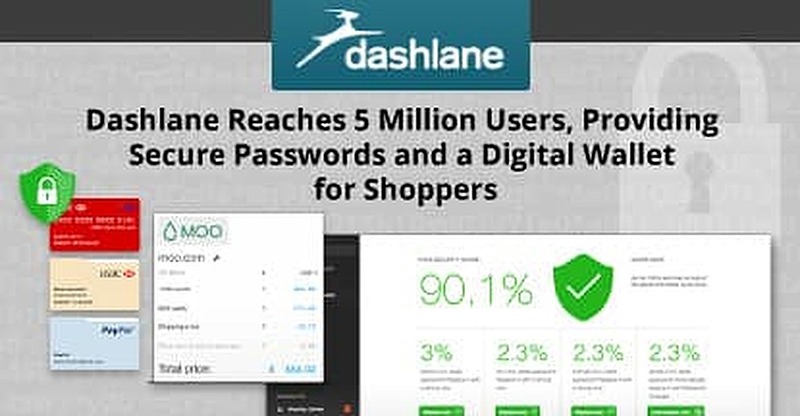 Dashlane stores personal information in one convenient place that shoppers can access at hundreds of websites and retail locations. This popular and award-winning app has been downloaded almost 5 million times by consumers and businesses. The inspiration for Dashlane came from the realization that some things are more challenging online than in the physical world — namely managing your identity and shopping. It is ironic, but true. There is a lot of friction. The Dashlane founders saw an opportunity to make shopping easier by fast-tracking the checkout process by creating a product that stores and remembers passwords, payment information, and personal details, so that navigating online is easy. 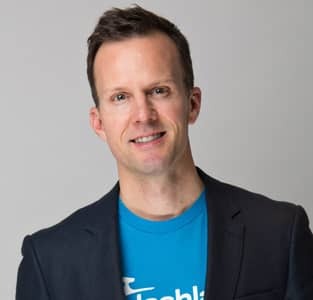 Chuck Kimble is the VP of New Business at Dashlane. The foundational vision of the app is to remove friction for customers by making shopping and logging in incredibly simple. Chuck Kimble, Vice President of New Business, boasts about the many accolades the app has earned in this endeavor, including being named one of the Best Apps of 2015 by Google and Apple. Dashlane users can sync with multiple devices where information and receipts are saved automatically. Perfect for shoppers on the go. Chuck says Dashlane’s 80-person team is obsessed with making the app the simplest product to use, no matter where you are. Dashlane’s online wallet keeps your payment information safe and accessible. The Digital Wallet is a popular feature that stores any and all payment types including credit cards, debit cards, bank information, and PayPal. You simply click on the one you want to use, and the app autofills your payment details on the spot. Chuck tells us that 71% of customers use the Digital Wallet within three months of downloading the app. This effortless and convenient wallet capability has enabled almost $6 billion in commerce on over 400,000 websites. The Digital Wallet gives users a convenient way to pay online with express checkout everywhere they go. The app’s clean, user-friendly interface makes shopping a breeze. Dashlane will even remind you when your cards are about to expire as well as automatically save the receipts of your purchases. Every detail is streamlined so shoppers don’t have to worry about how to pay. To ensure the security of sensitive details, all billing information is kept on your mobile device in the auto-locking and encrypted Digital Wallet. It’s secured with a PIN and a Master Password that only you know. Once you download Dashlane, you’ll choose a personal Master Password which is unique to you. This password does not have a physical record anywhere — it’s not stored on any device, it isn’t sent to Dashlane’s server, and it exists nowhere except inside your head. Unless you tell someone your password, no one will be able to find out what it is. Dashlane keeps info secure through a Master Password. This supremely secure encryption key is what opens all the information that you store in Dashlane. Without the Master Password, no one can gain access to your passwords and payment details on the app. With Dashlane’s encryption methods, your information is completely safe from hackers. In all its features and content, Dashlane looks out for its users. Video tutorials clearly map out in a simple, visual way how to best use the app and stay secure while online. Additionally, Chuck views the Dashlane blog as a teaching resource for everyday consumers. With a relatable and fun tone, the articles focus on helpful topics like what makes a strong password and how to use the app’s new features. Today, Dashlane users have stored login information for over 4 million websites. The company is constantly expanding its features to help users manage their passwords and payment better. For example, though it was intended for consumers, Dashlane found a natural appeal for businesses looking for greater security. A highly reputed app, Dashlane was named among Fortune Magazine’s 36 Coolest Gadgets in 2013. Dashlane4 was recently released for consumers to enjoy. The app is now available in seven languages: English, French, Spanish, Italian, German, Japanese, and Portuguese. As it expands to more countries, the team expects to add even more languages in the future. Further building its reach as a resource, Dashlane frequently partners with top banks to give customers greater convenience and security. Although it’s impressive to hear my mom rattle off a lifetime’s worth of credit card numbers, it’s not the most productive use of long-term memory. Save your brainpower for other tasks, and let Dashlane take care of remembering your passwords and payment details. With the help of automatic logins and encrypted information, your online shopping is made simple. The next time you go to checkout, bring your Digital Wallet along to ease the strain and stress.